Located northeast of the campground, this Cabin features an open concept living room with brand new sliding door entryways and sliding glass doors leading to the sun deck where a georgous meadow of dandylions can be seen. This Cabin features a fully accessible L style kitchen and 3 piece bathroom with shower stall, dining room, and entertainment area. Click to learn more about this Cabin! Located northeast of the campground, this Cabin features an open concept living room with brand new sliding door entryways and sliding glass doors leading to the sun deck. This Cabin features a fully accessible L style kitchen and 3 piece bathroom with shower stall, dining room, and entertainment area. Overlooking the sun deck is the start of the boardwalk leading to the lake point. 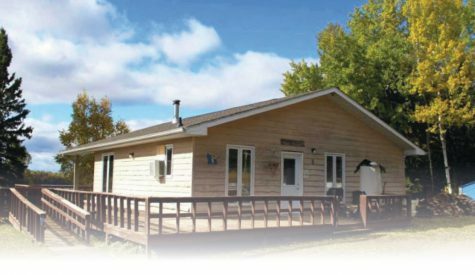 Located east of the campground, this Cabin features an open concept layout with an attached living room and fully accessible L style kitchen and 3 piece bathroom with shower stall, dining room, and entertainment area. Looking out from the sun deck a view of the boardwalk leading to the lake can be seen. Located southwest of the campground and next to our project monument, this Cabin features an open concept living room and fully accessible horseshoe style kitchen and 3 piece bathroom with shower stall, dining room, and entertainment area. Overlooking the sun deck a view of the lush forest can be seen as well as a peak down onto the shoreline. 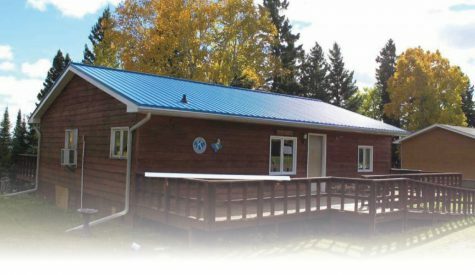 Located northwest of the campground and closest to the main entrance, this Cabin features an open concept living room and fully accessible horseshoe style kitchen and 3 piece bathroom with shower stall. Overlooking the sun deck is a spacious play area and a look down onto the shoreline. 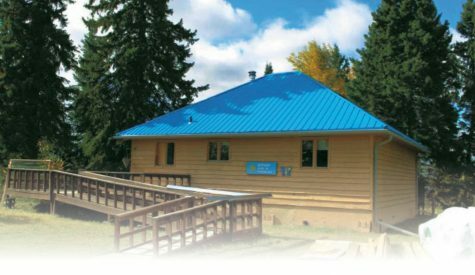 What makes our Cabins Accessible? 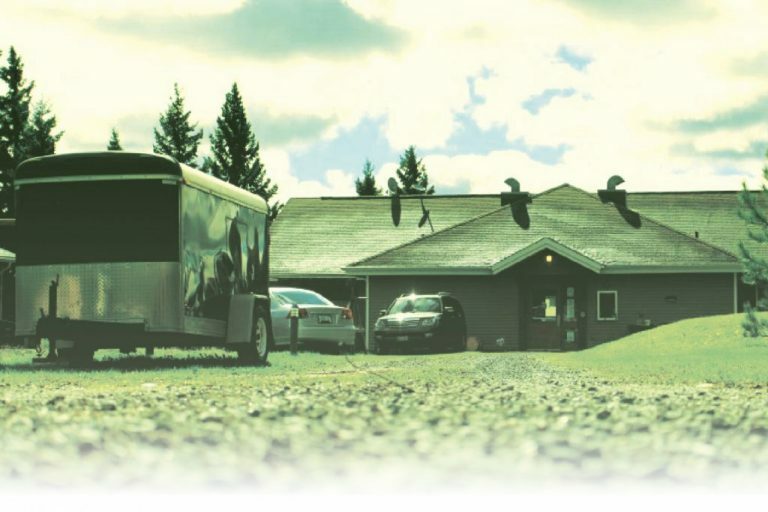 All of our Cabin's are fully accessible, providing all access amenities with tested turning radius' and clearance space for campers with manual or power-driven devices such as wheelchairs and electric wheelchairs. 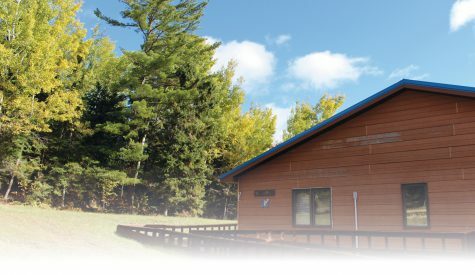 In addition to our Cabin units, we also have two fully accessible lakefront suites tailored for small groups and families. These suites are attached to the ground level of our Main Lodge featuring all access amenities and a private view of the lake point. If you have a question about our Lakefront Suites, please visit our FAQ section or send us a message! We would love to hear from you. Located northeast of the campground, this Cabin features an open concept living room with brand new sliding door entryways and sliding glass doors leading to the sun deck. 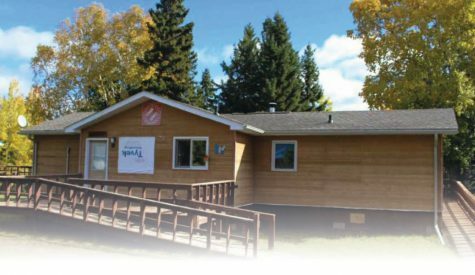 this Cabin features a fully accessible L style kitchen and a fully accessible 3 piece bathroom with shower stall. Overlooking the sun deck is the start of the boardwalk leading to the lake point. Click here to find more about how our Main Lodge can help you with your camping experience! Feel free to email us directly at info@wdcentre.net with your inquiry and we will get back to as soon as we can!